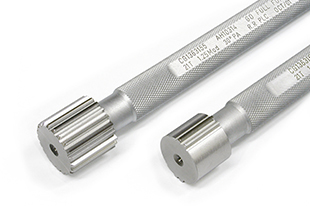 Splined Plug Gauges are used to check circular space width on an internal splined component. Spline is also able to supply Tapered Plug Gauges, Plain Diameter Plug Gauges & Taper Plain Diameter Plug Gauges. Spline also have the capabilities to produce Straight or Helical splined Plug Gauges.